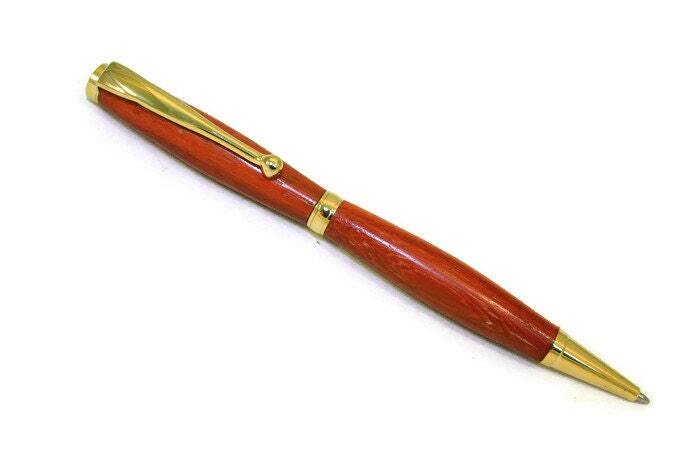 Wooden Twist-Action Ballpoint Pen Made from African Paduak Wood With Gold Fittings. 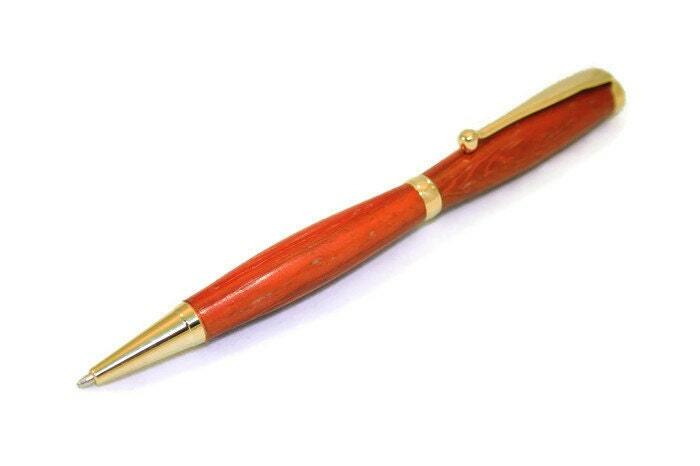 - Handmade wooden ballpoint pen made from African Paduak wood. 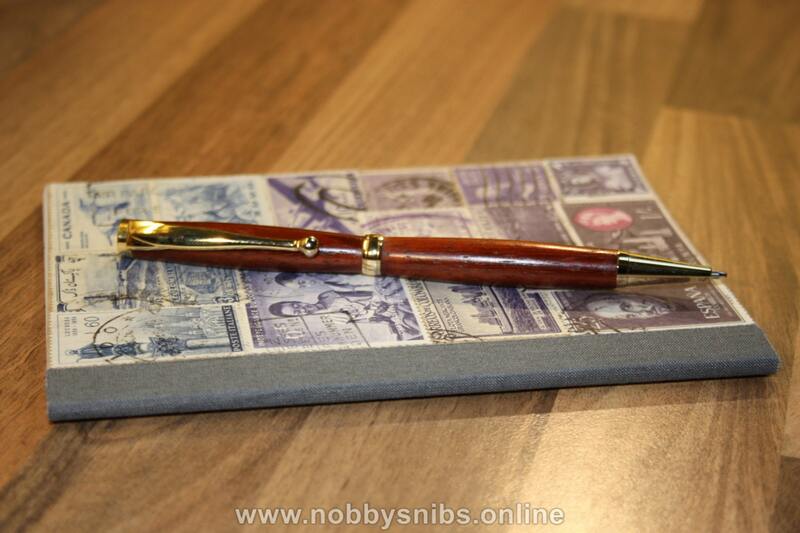 - The pen in the pictures is the actual pen for sale. - Comes with black ink. - Features a smooth twist action to extend/retract the tip. 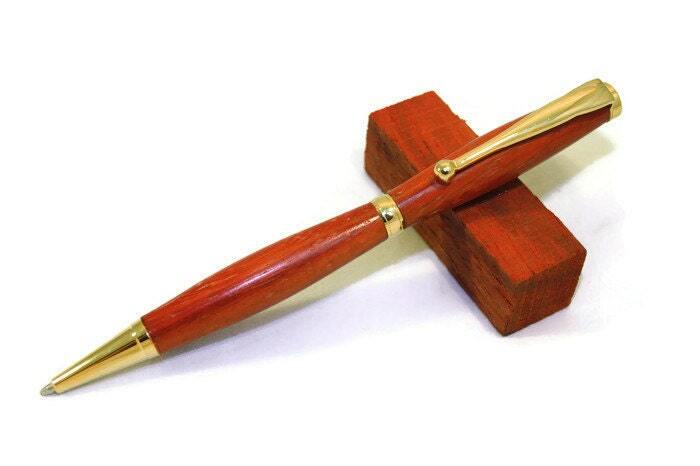 - Takes a 'Cross'-style replaceable refill. These are readily available. 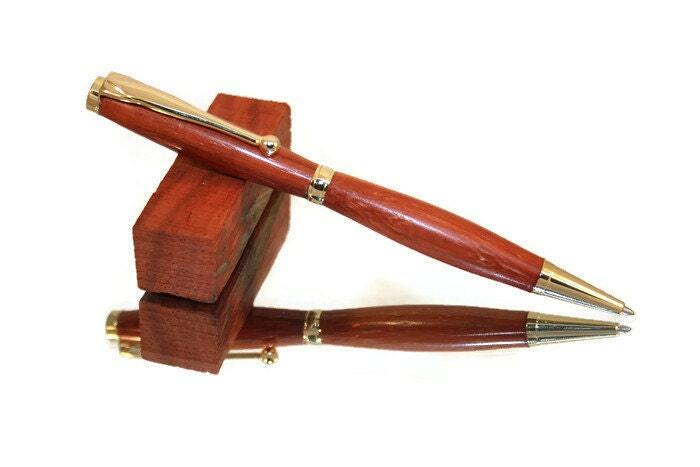 - The pen will come securely packaged and in a card gift box. - Measures approx 13cm (5") long and approx 1cm (1/2") wide and weighs approx 25g (1 1/2 UK ounces). - All of my pens are individually handcrafted - each one is completely unique.